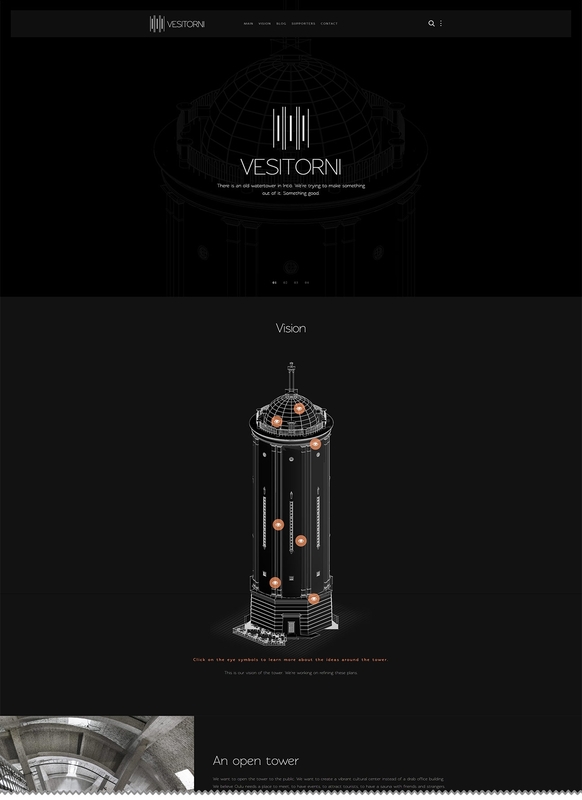 “Vesitorni” -logo and visual style can be used as a collective brand by the future entrepreneurs in the tower. Logo was designed for my Diploma Thesis about the water tower but also adapted to use by keeper of the tower Daniel Herrera Castro. Simple and clean logo consists of vertical lines which represent the towers key architectural feature of columns and windows. Typeface of the logo is excellent rawengulk sans by: Grzegorz Luk. I also helped Daniel to create business cards and website layout for his tower project.